Weight Watchers has launched a new campaign to coincide with the new year that aims to make people ‘believe in themselves again’. 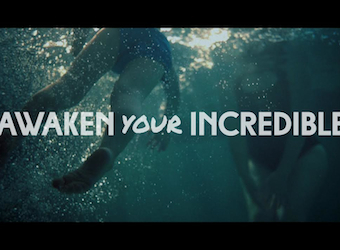 The new campaign, which makes little to no mention of weight loss itself, is titled, ‘Awaken Your Incredible’. Created by BMF, the campaign is based on the insight that each of us has already proven that we are stronger than we think, when we look back at how we’ve conquered life’s ups and downs. Weight Watchers kicks off the campaign with a new logo, website, creative, including 60 and 30-second TVCs, and a motivational manifesto. Weight Watchers general manager, marketing, Michael Burgess, says, “Weight Watchers is founded and built on the truth that the only lasting weight loss solution for you, comes from within you. The core creative idea has hope and flexes the motivational muscle. The campaign will also live online at incredible.weightwatchers.com.au. Created and managed by Reactive, this destination serves to inspire people to awaken their incredible through a personalised product experience, an educational platform – The University of Incredible and an interactive film-maker tool (due to launch in February). The University of Incredible will repurpose and refresh 50 years worth of Weight Watchers tools, tips and experience to inspire and guide a new generation towards a healthier life. The integrated campaign strategy was developed and led by Naked, spanning multiple channels above and below the line, including TV, direct mail, digital and PR.